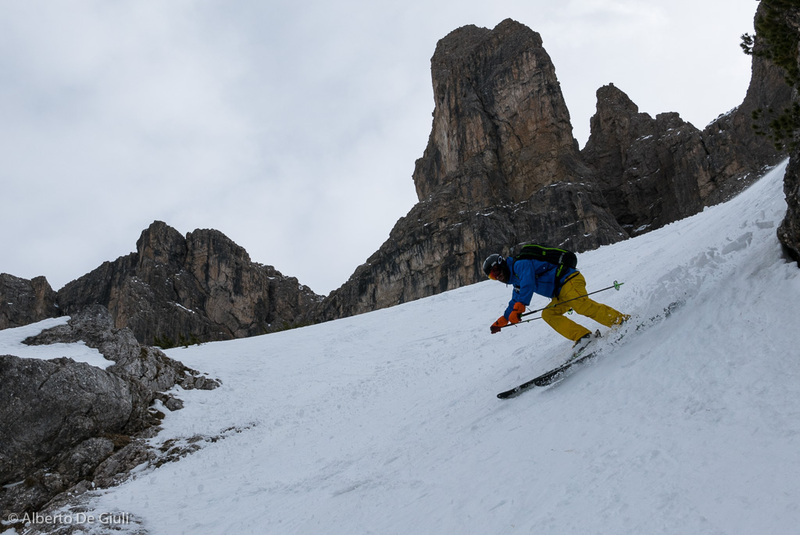 Last ski days of the season in the Dolomites. 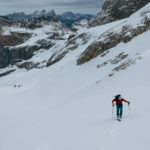 Off-piste skiing in Arabba, Sella massif ski traverse via Val Ciadin and Culea, Forcella Bachet ski traverse, ski mountaineering to Punta Penia and Forcella del Vernel. 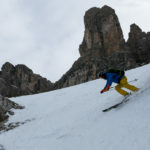 After the two good weeks together with the Ski Club Great Britain, the snow situation in the Dolomites was getting more critical in some ways. 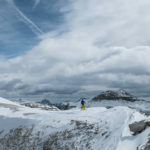 The temperature was getting higher, the snow on south slopes disappeared visibly around 2000 meters, and a warm Fohn wind blew constantly from the north. 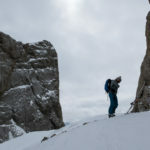 Never before this season my attitude has been “let’s go and see” rather than “let’s ski” this or that run… the snow conditions up in the mountains have always been so variable that you have always needed to be a little bit lucky, but most of all ready to live a potentially strenuous adventure. 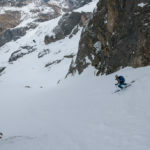 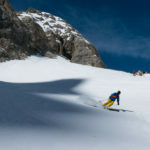 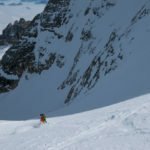 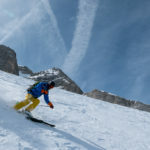 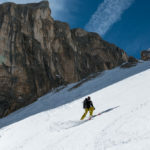 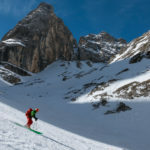 Here you have a gallery of images with the latest days on skis in March in the Dolomites, probably likely to be the last of season here. 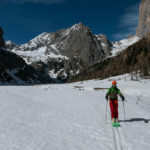 Some great off-piste ski runs in Arabba like Sass Mesdì and Pizangol Ornella, the Sella massif ski traverse via Val Ciadin and Val Culea, the ski traverse of Forcella del Bachet from Rifugio Fuciade (this time we had to carry the skis on the backpack from Fuciade all the way to the top, same from Malga Ombretta almost down to the agriturismo in Malga Ciapela), a great ski mountaineering day to Punta Penia after an overnight stay at the Rifugio Pian dei Fiacconi and again in Marmolada for another nice ski mountaineering tour to Forcella del Vernel, where we enjoyed a soft steep descent thanks to a little snow fall from the night before. 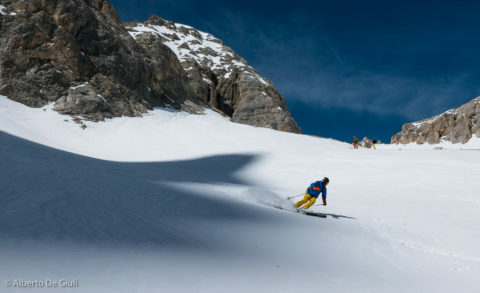 Off-piste skiing in Arabba. 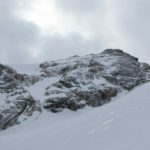 Sass de Mesdì. 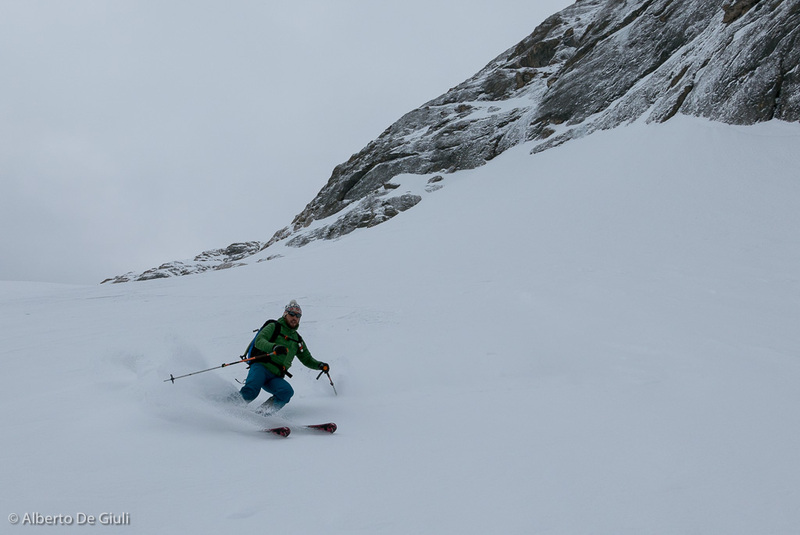 Off-piste skiing in Arabba. 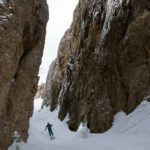 Pizangol de Ornella. 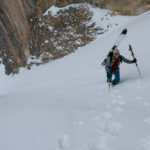 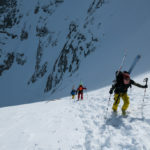 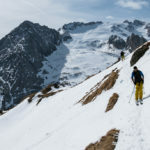 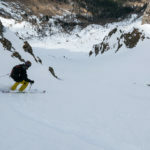 Ski touring, Forcella del Bachet ski traverse. 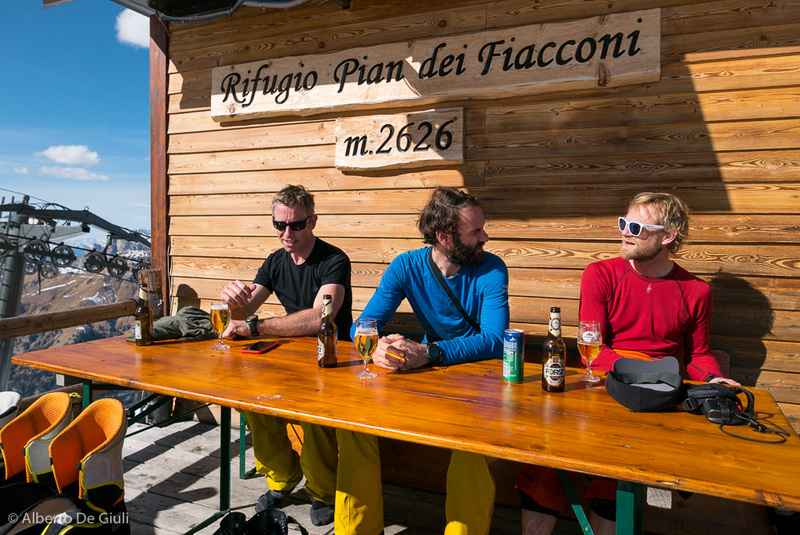 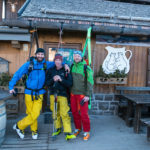 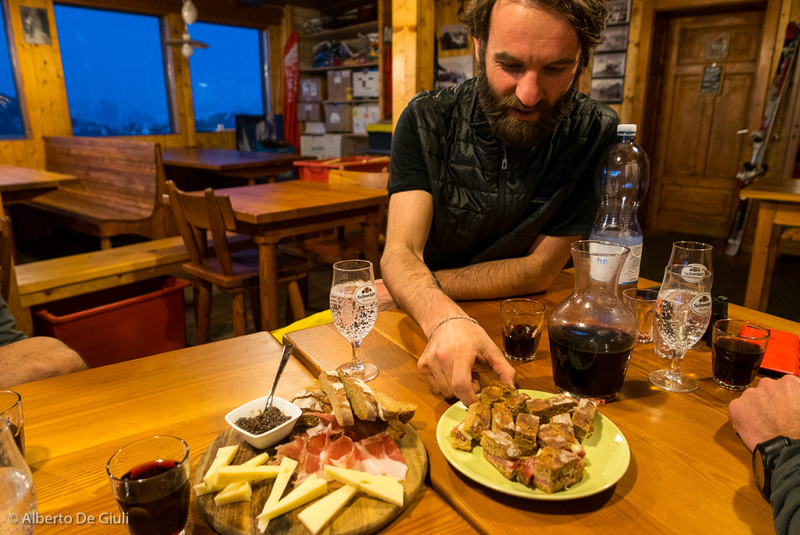 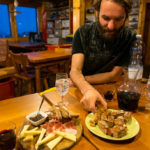 Aperitif at the Rifugio Pian dei Fiacconi. 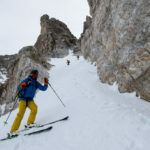 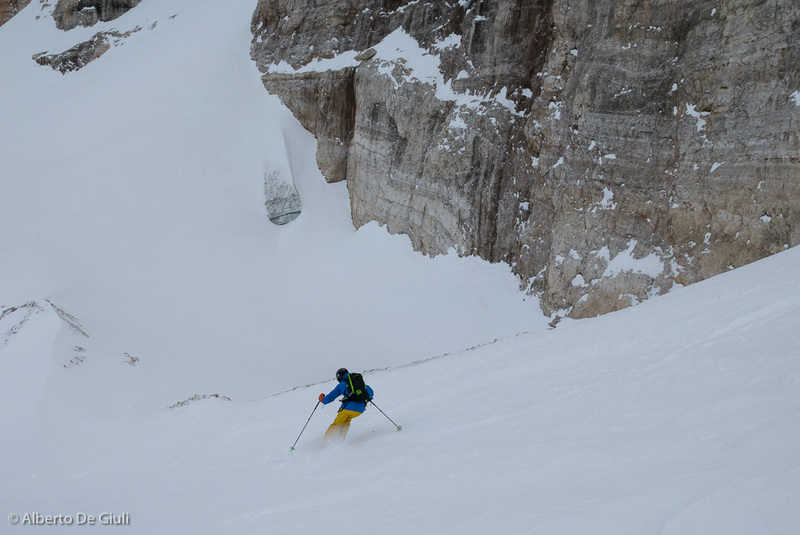 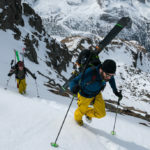 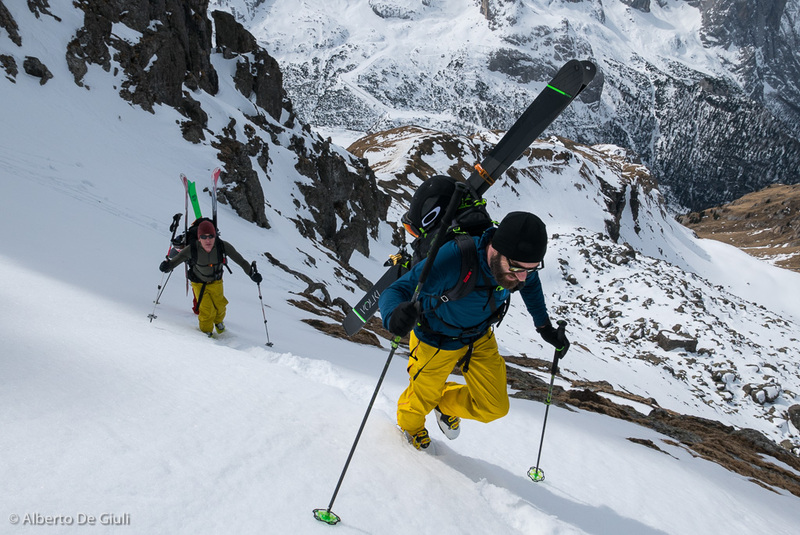 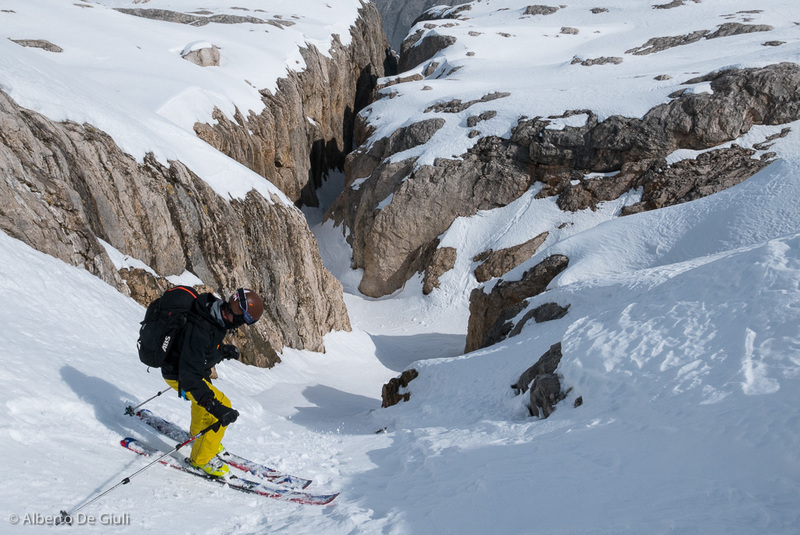 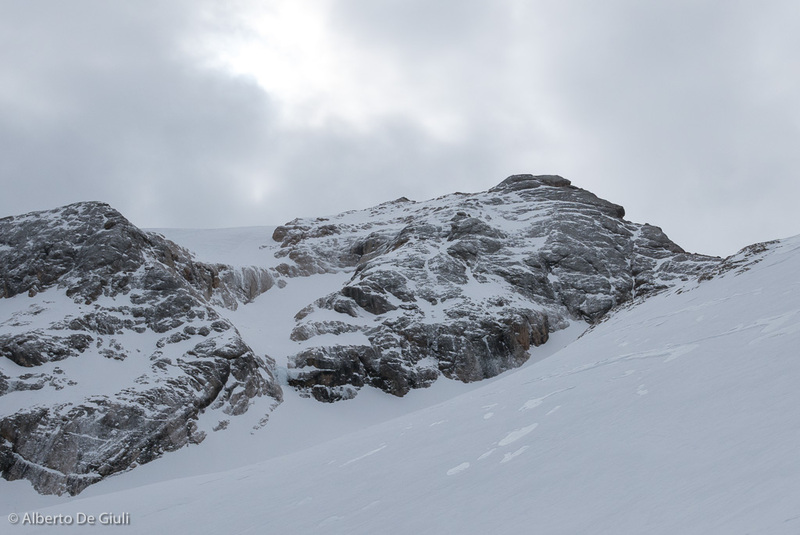 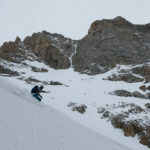 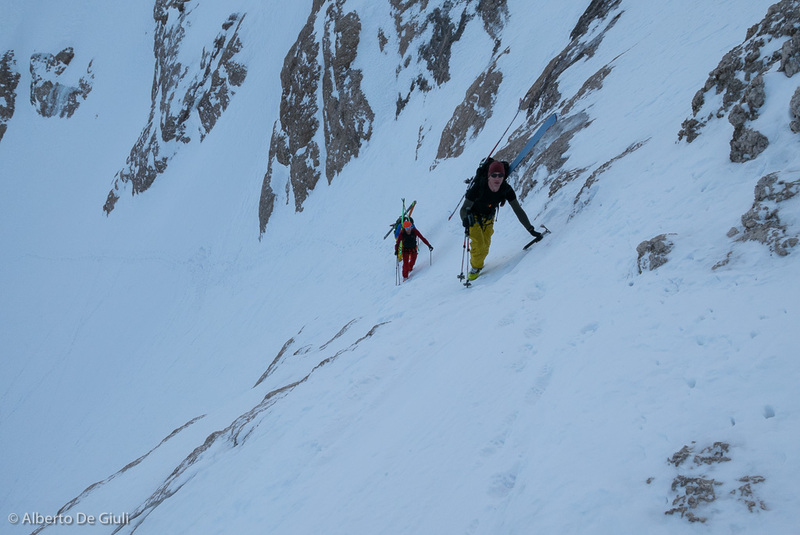 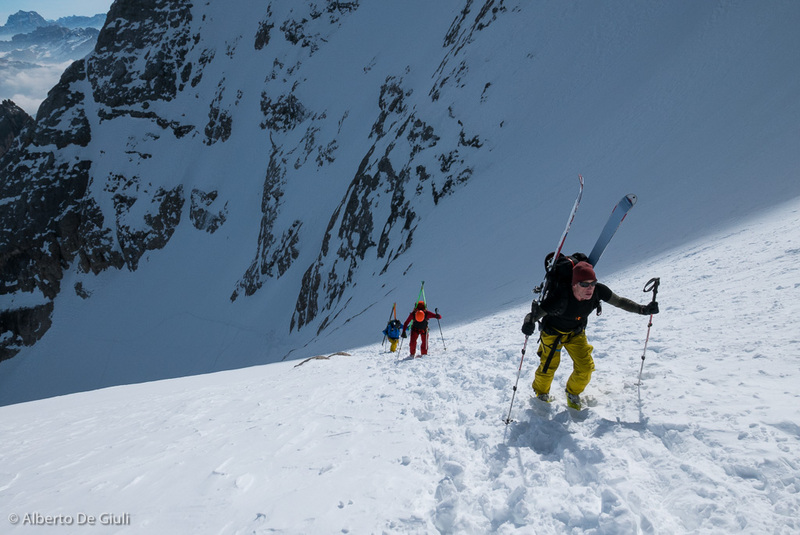 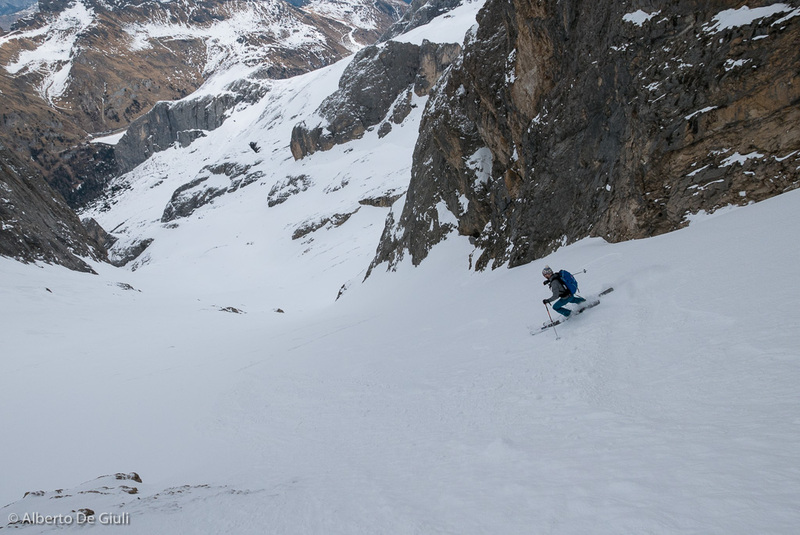 Ski mountaineering to Punta Penia, Marmolada. 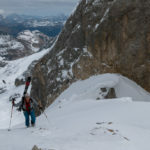 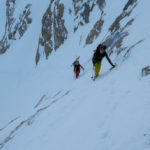 Ski mountaineering to Forcella del Vernel, Marmolada. 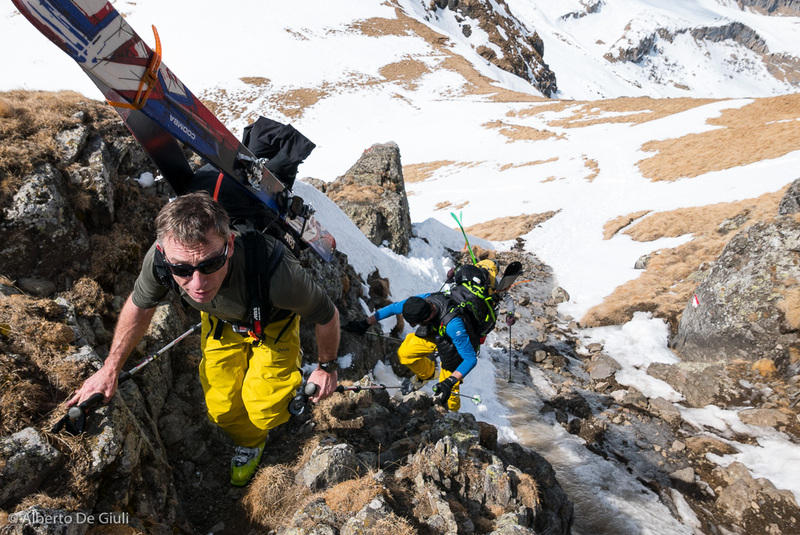 Chamonix summer alpinism. 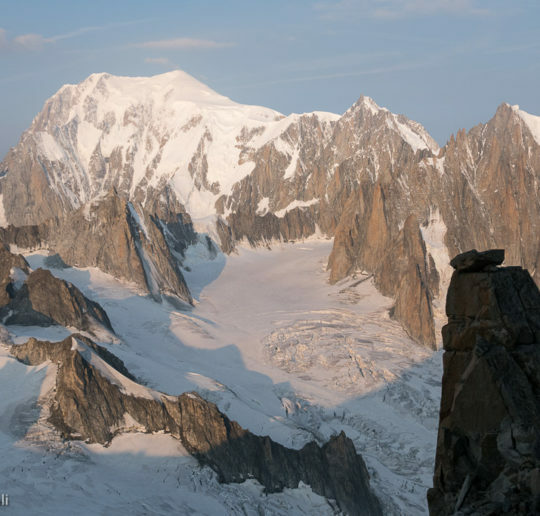 Traverse of Aiguille d’Entreves, Aiguille Crochues and Dent du Geant. 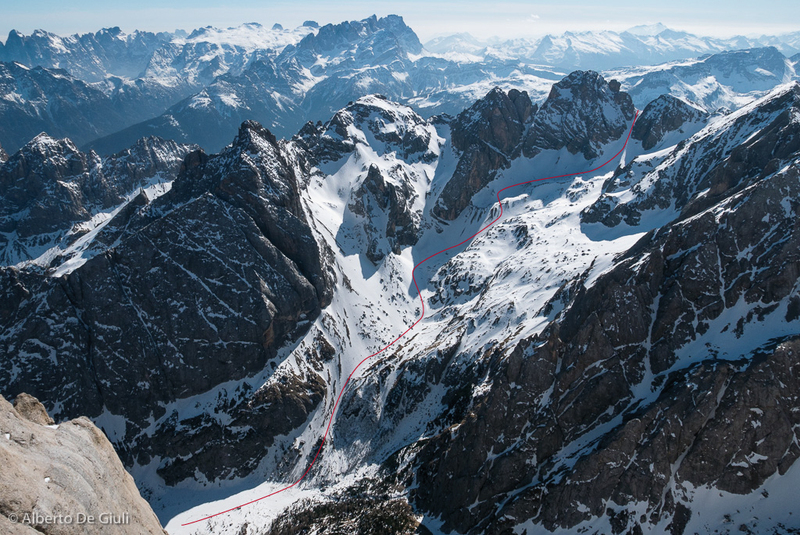 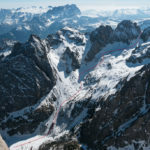 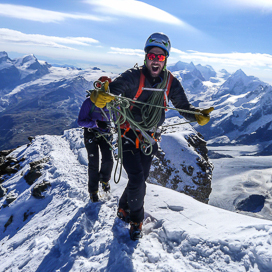 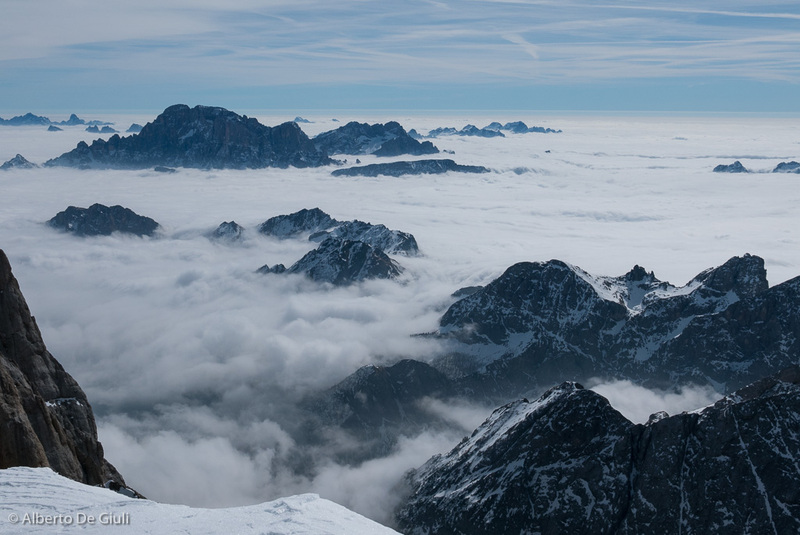 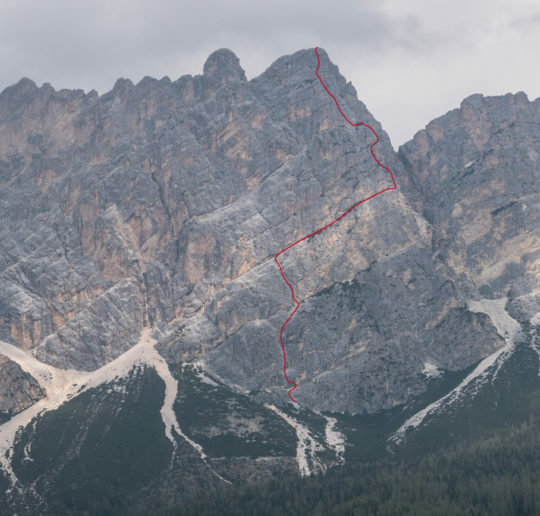 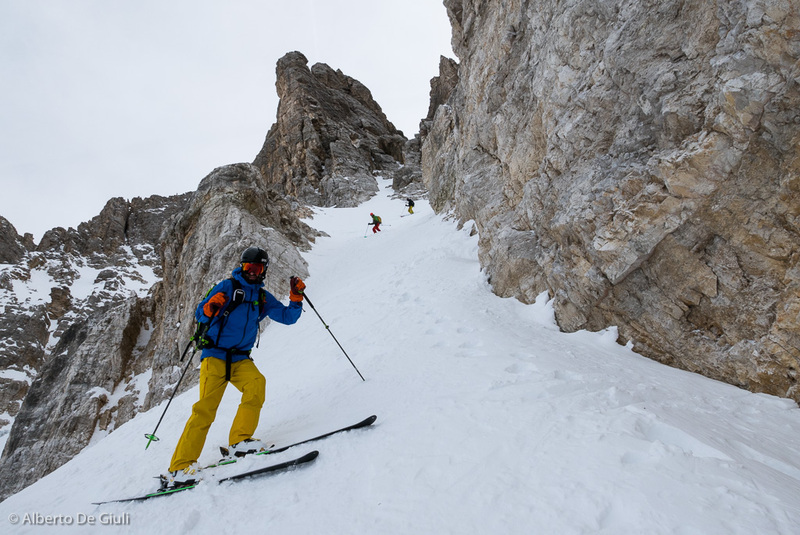 Classic rock climbs around Cortina d’Ampezzo. 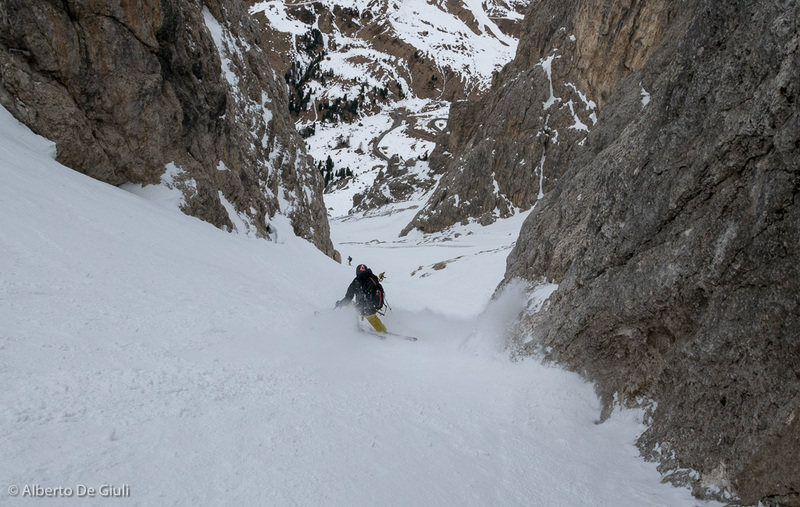 Phillimore route on Costa del Bartoldo. 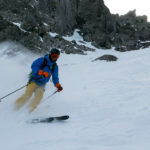 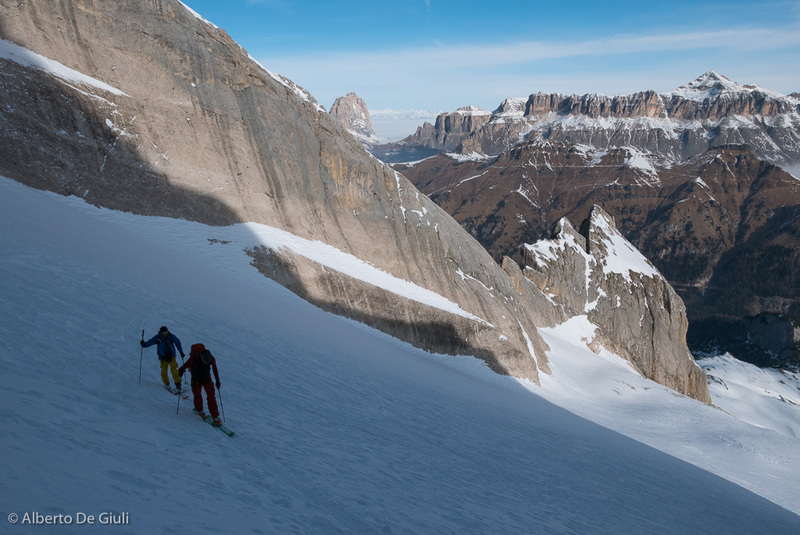 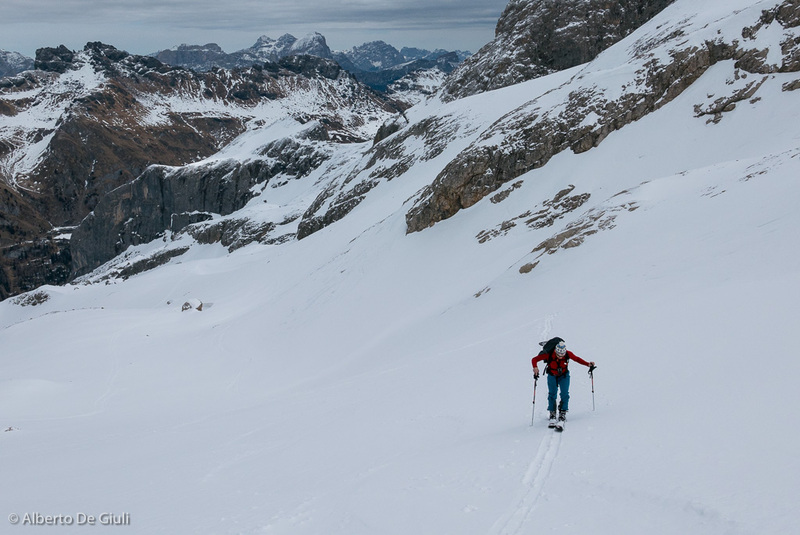 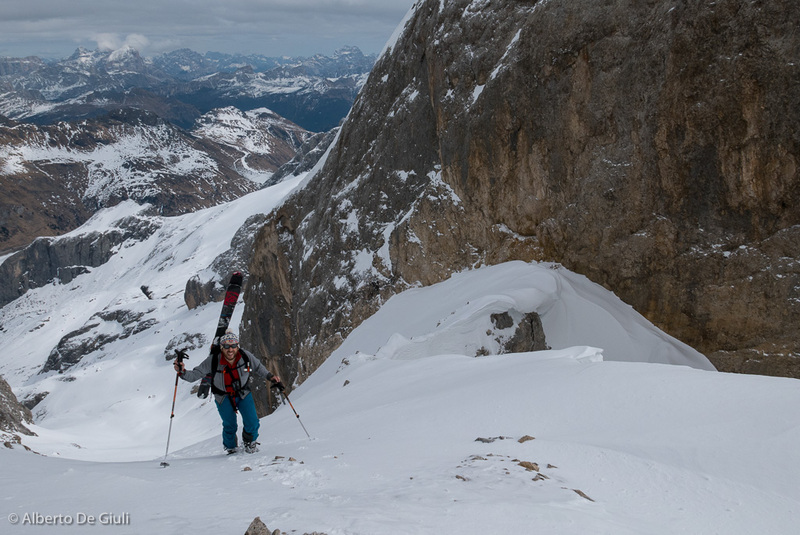 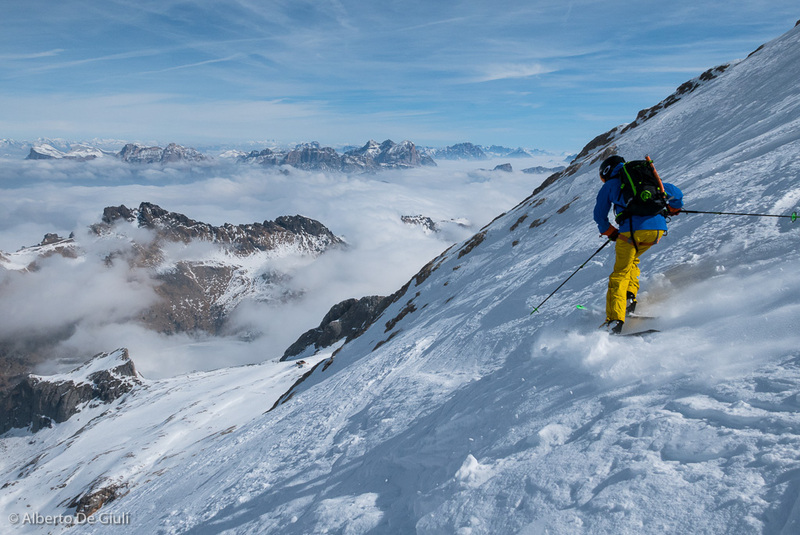 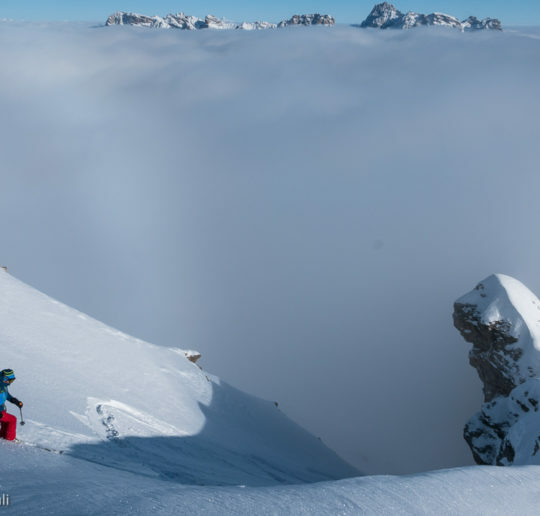 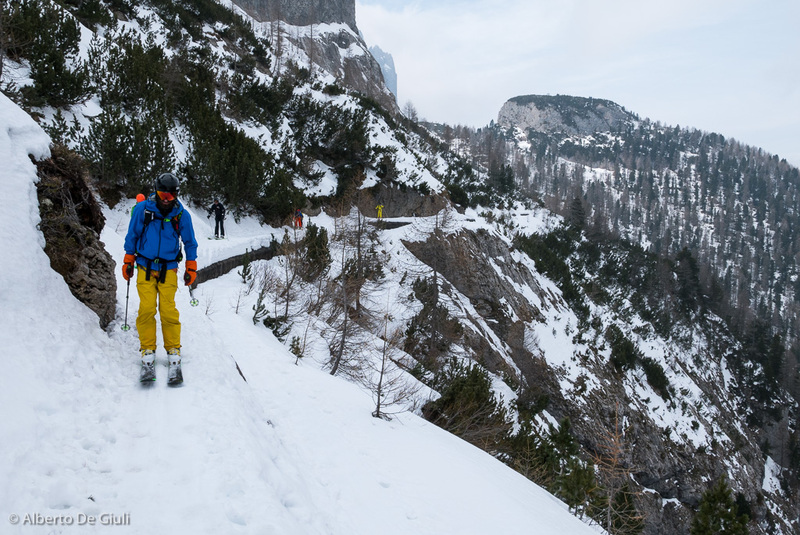 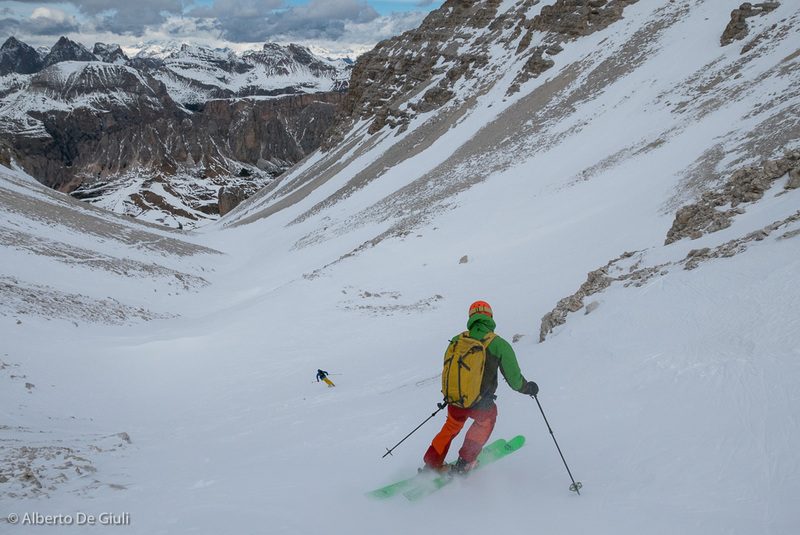 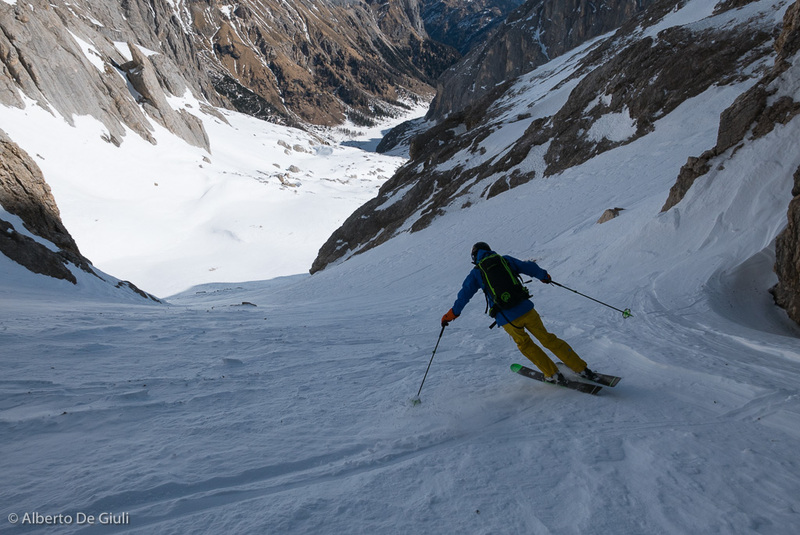 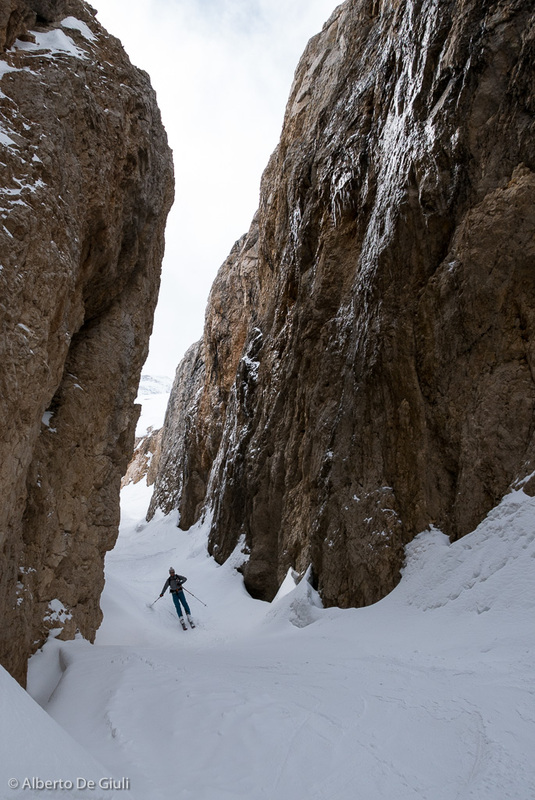 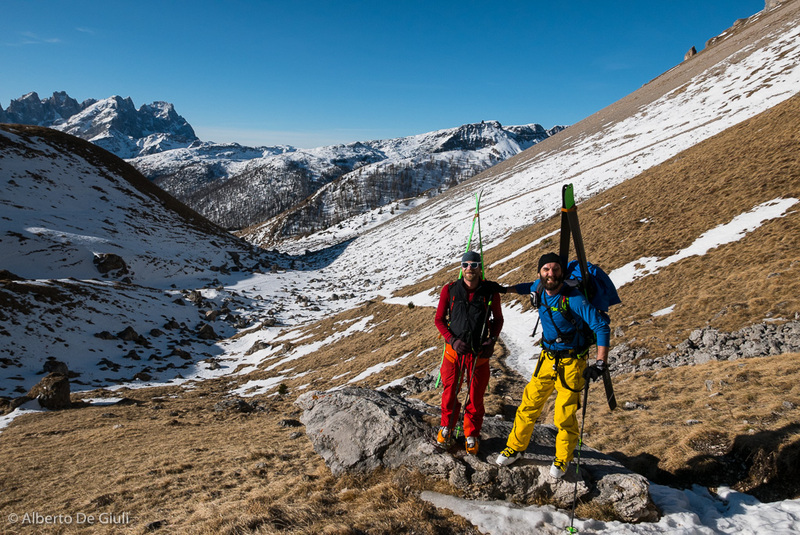 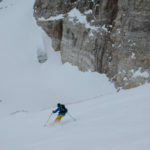 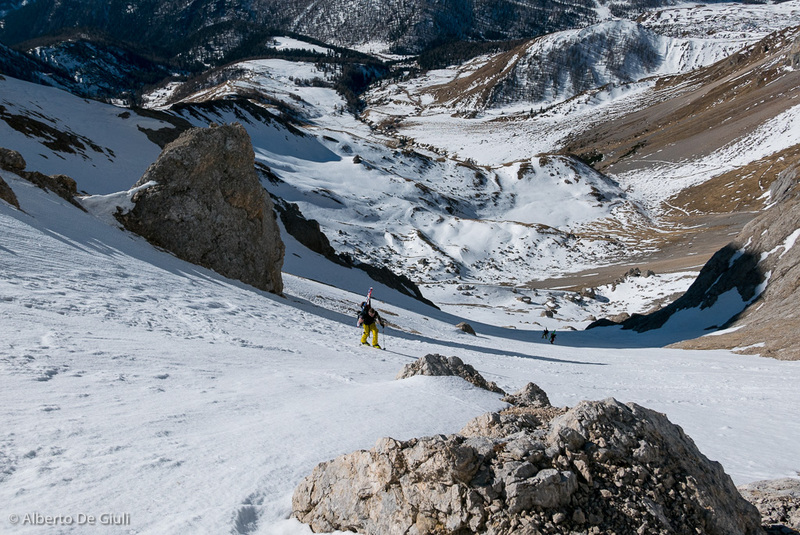 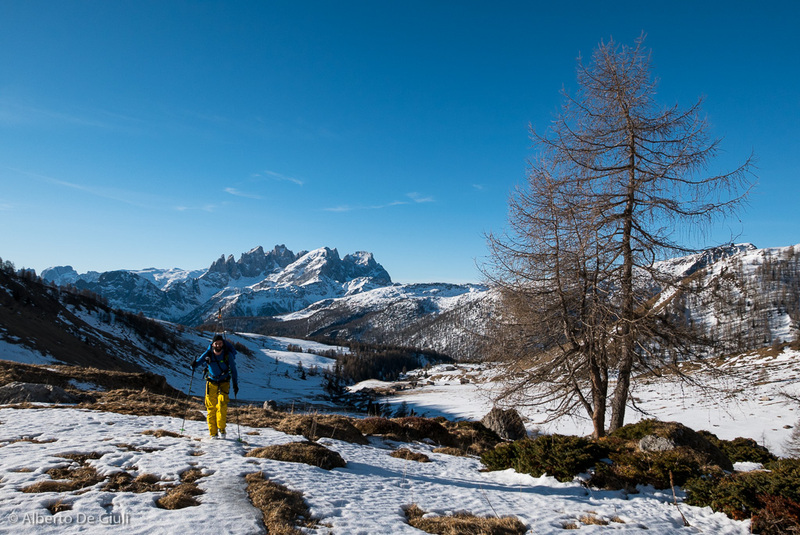 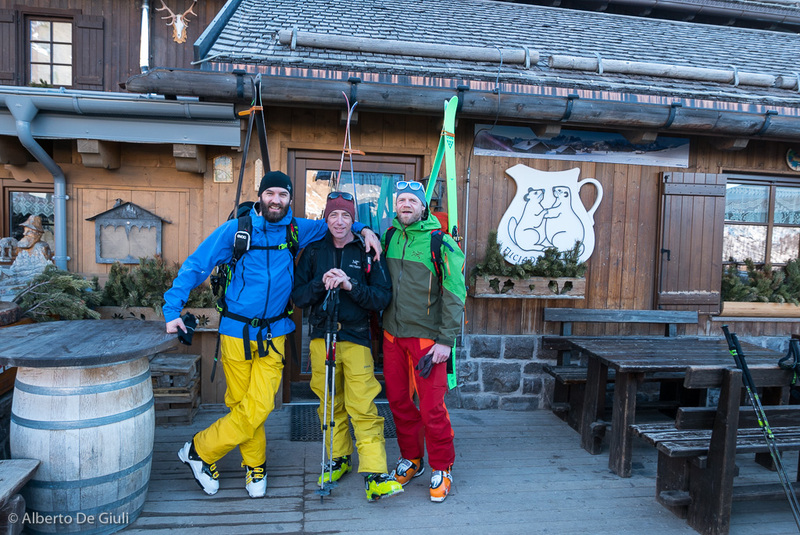 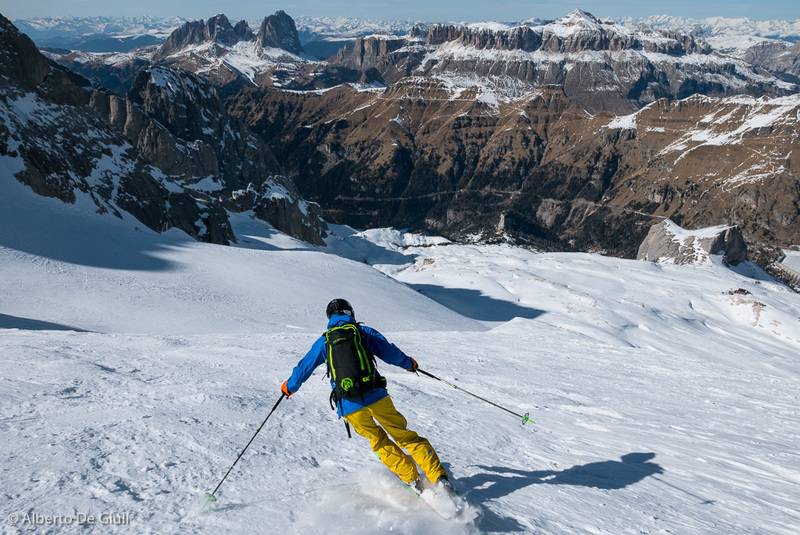 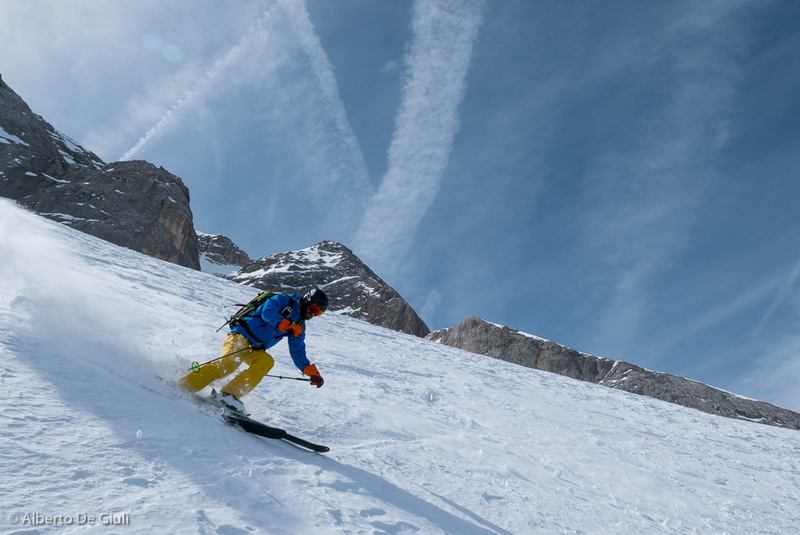 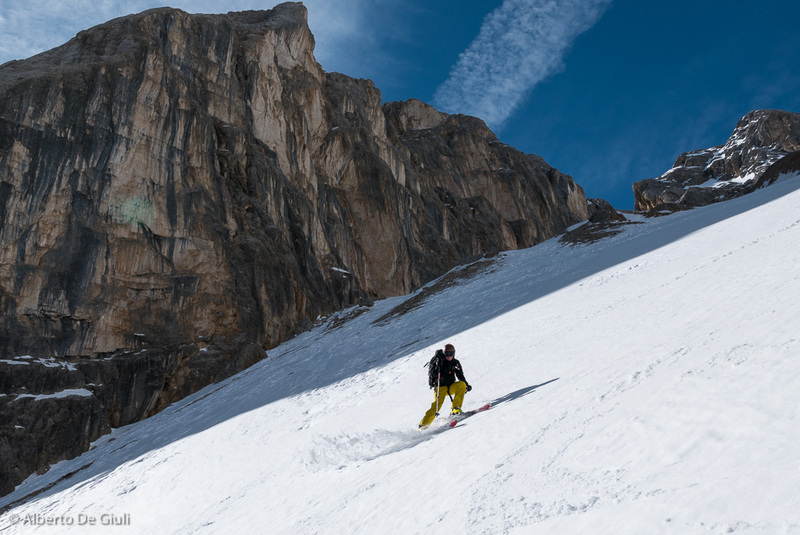 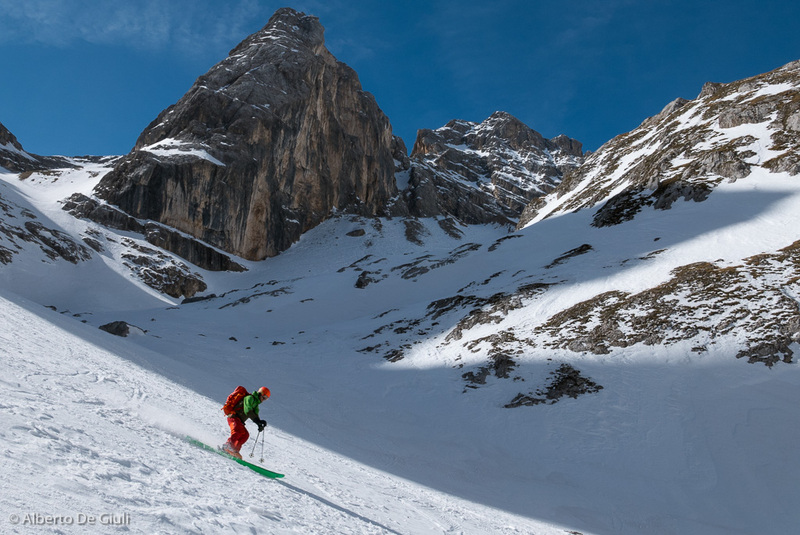 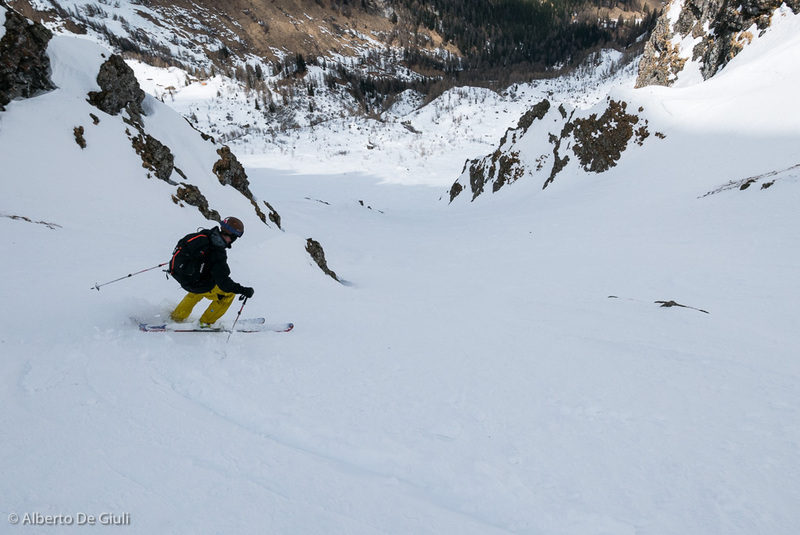 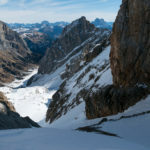 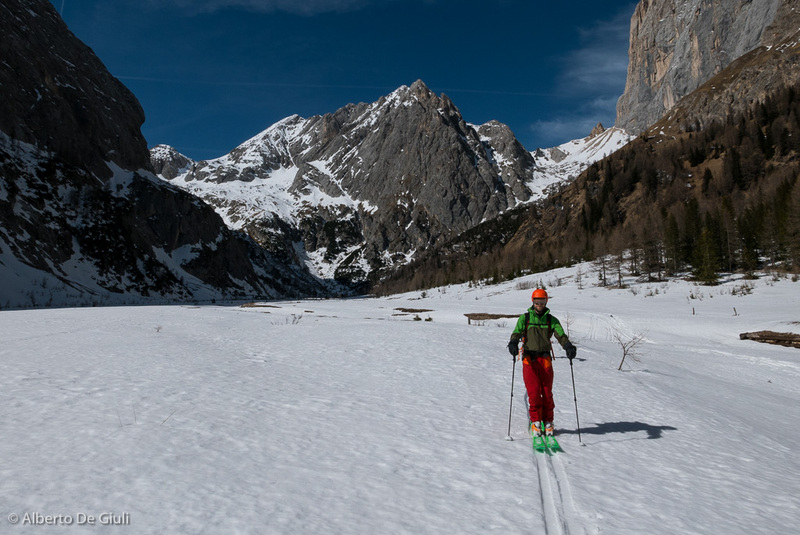 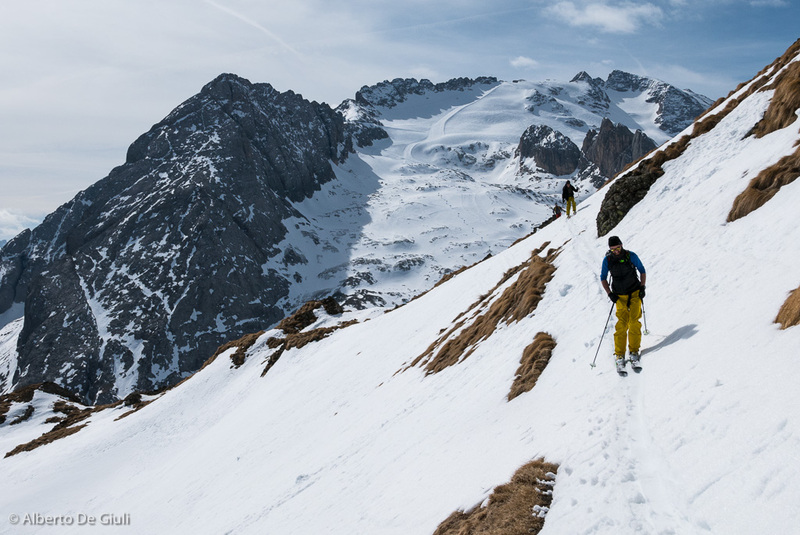 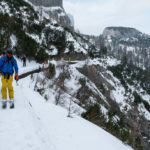 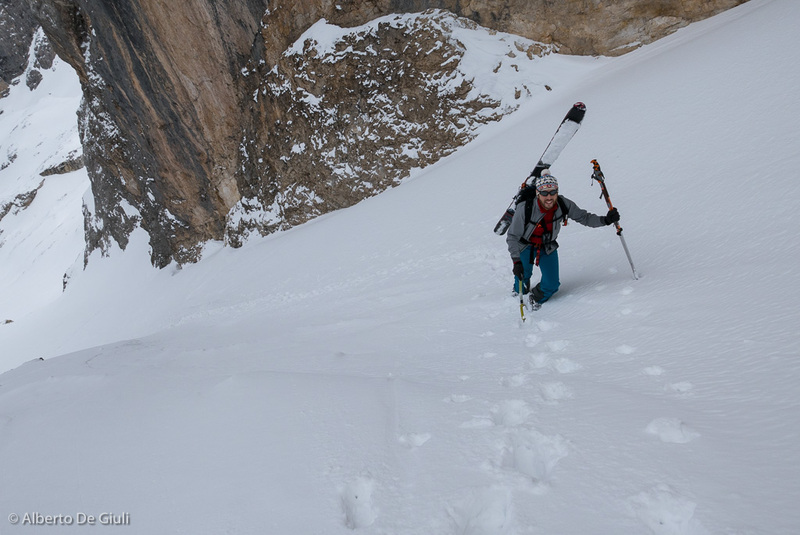 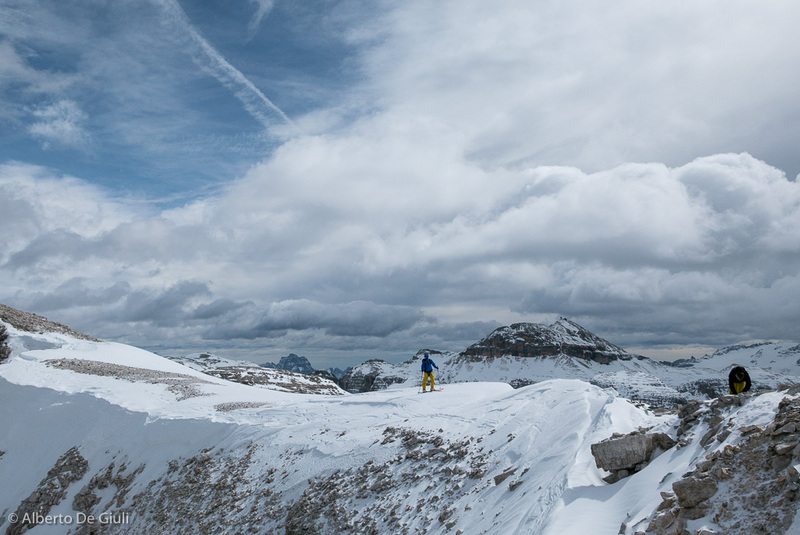 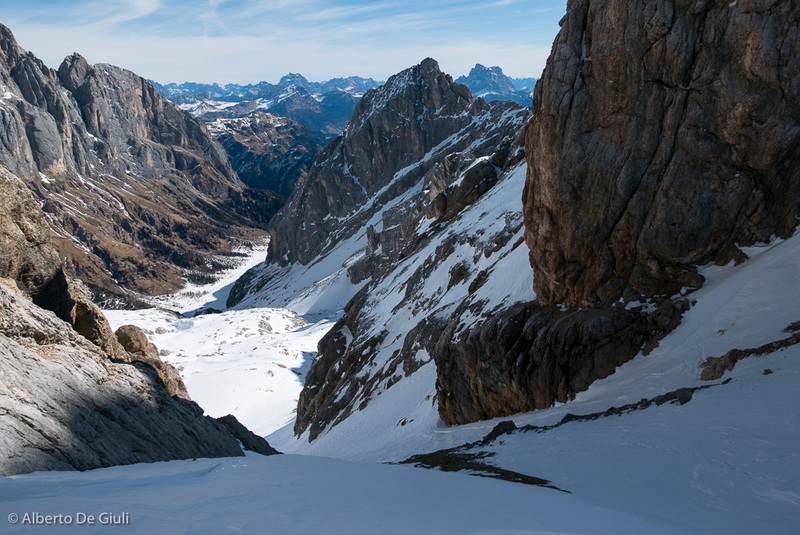 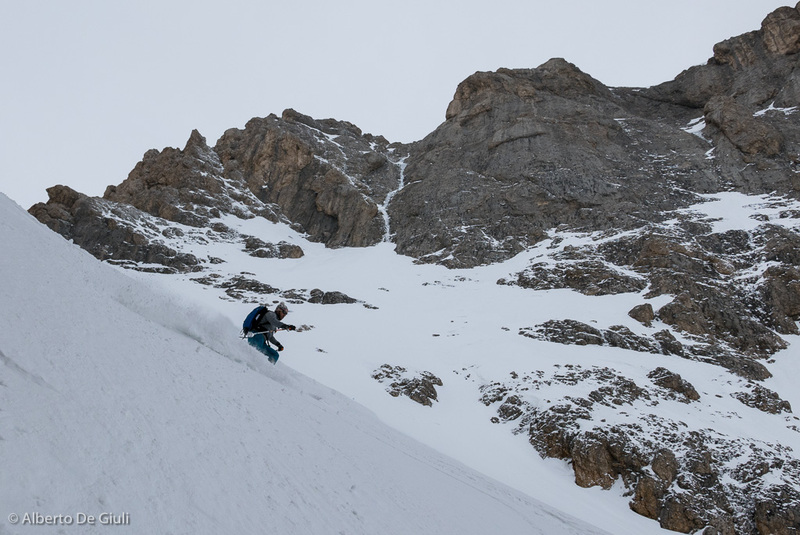 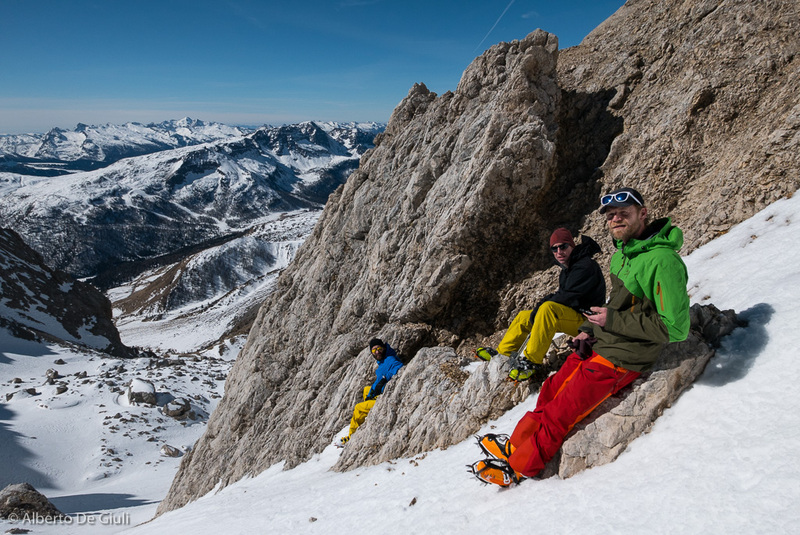 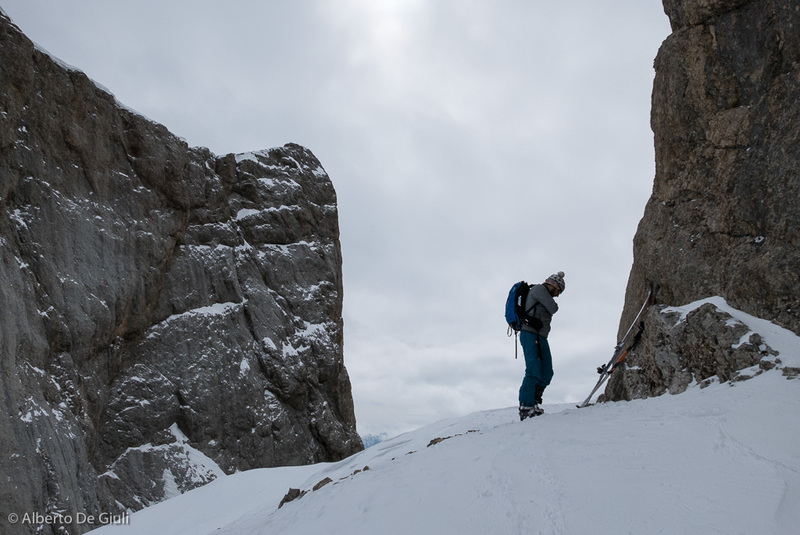 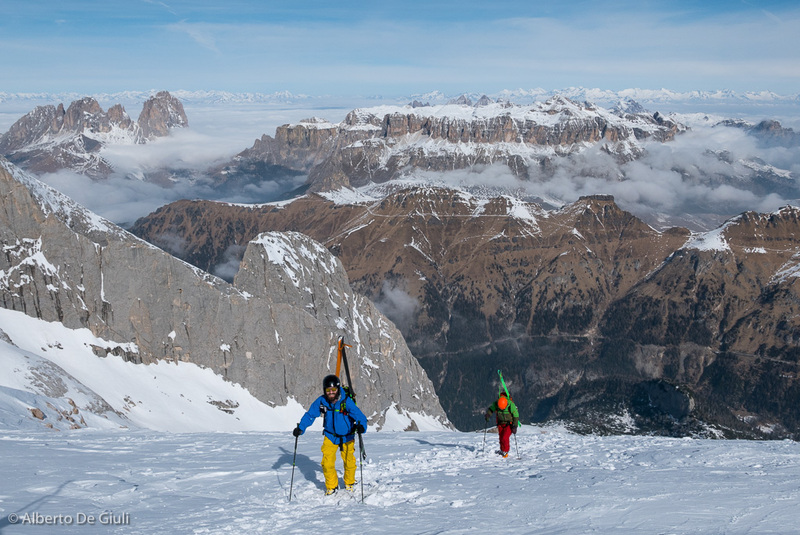 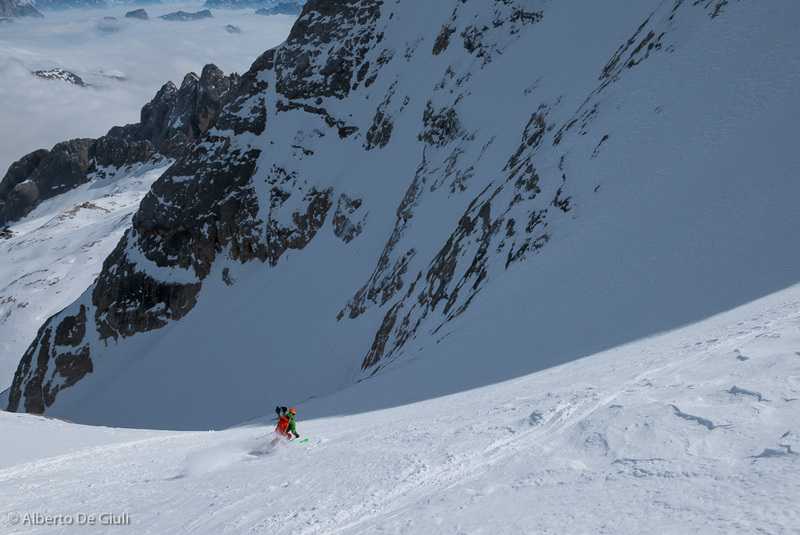 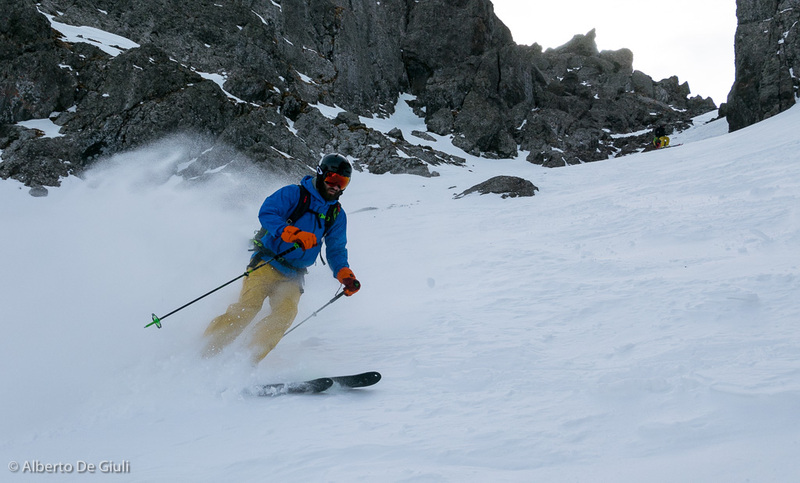 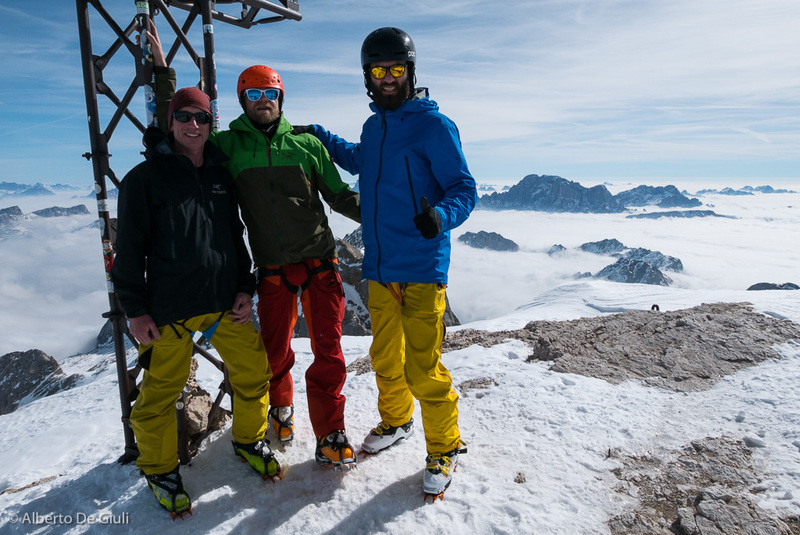 January, ski touring, off-piste and steep skiing in the Dolomites. 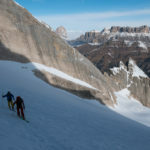 Costabella on Cristallo, forcella di Colfiedo ski traverse, Arabba, gruppo del Puez, Val delle Fontane and Holzer Couloir on Sella group.